This year has seen some extraordinary new music come our way. I’ve heard the opposite opinion from elsewhere, but for me, being on the West Coast has a lot to do with my enthusiasm. In fact, seven of the albums in my top ten are by West Coast artists, some more well-known than others. Not only that, three of the albums in my top ten aren’t albums at all. The “EP” is an anachronistic term that originally referred to a 7” vinyl record with more music crammed on each side (usually at the expense of volume and general sound quality) than what a normal single would hold. It’s an abbreviation for “Extended Play.” And yet, today’s EP is really just a half-length CD. They tend to be overlooked, either because they’re too short to warrant much attention or they contain songs not deemed strong enough for a full album, or both. But, like Bob Dylan said, “things have changed.” Our lives are busier, our attention spans are shorter, and our disposable income is shrinking by the hour. What better time for the EP to make a mini-resurgence than now? 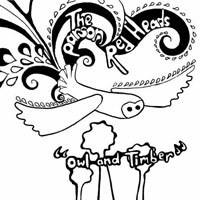 There’s a timelessness to the sound and the vibe of the Parson Red Heads that’s beyond explanation. You can single out the familial harmonies, the guitar interplay that recalls the Byrds and the Dead, the irresistibly solid pop songs, or their flowery evocation of a bygone era. But when it comes down to it, this band’s music simply feels good. No other band has released music this irresistible and uplifting in years, and only a select lucky few up and down the West Coast have had the luxury of being able to see and hear them live. With a little luck, this may change, and we’ll be able to look back at Owl & Timber as one of the elements that made it happen. Following up the 37-years-late Smile with another similarly built song cycle seemed like little more than a fantasy in 2004. But here we are in 2008, and Brian Wilson pulled it off. Mike Love would be proud to hear that there’s only one “downer” on the album (the beautiful, Pet Sounds-worthy “Midnight’s Another Day”), while all the rest are upbeat, aural murals depicting the sunny side of Southern California. It’s Brian doing what he does best, and outside of Smile, it’s easily his best, most enjoyable solo work. 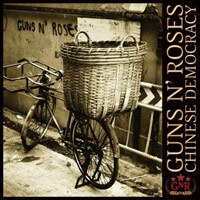 Technically, Tell Tale Signs is an archival release, but the recent vintage of the material (1989 through 2006), the abundance of never-before-heard songs, and the fact that most of it was recorded during the same period in which Guns n’ Roses’ 14-years-late Chinese Democracy gestated, qualifies it as new. And even if it didn’t qualify, it would still be listed here, since it does as good a job (if not better) as any of his last three records of proving that, even in his old age, Dylan has lost none of his power to inspire, confound, delight and move his audience. Mark Lanegan and Greg Dulli have collaborated in the past on a few tracks from Greg’s Twilight Singers albums, and while those duets were pretty good, they were never major stand-outs. Not until the two covered Massive Attack’s “Live with Me” on last year’s A Stitch in Time EP, anyway. As good as that cover was, this full album of originals by Greg and Mark is even better. Dulli stretches himself here, eschewing his usual rockin’ R&B swagger and falling under Lanegan’s dark, spiritual influence. Of the four EPs and full-length album Joseph Arthur released this year, Vagabond Skies rises to the top not only for bearing some of his most captivating and ethereal songs, but also for containing the year’s most memorable guitar solo, in the EP’s centerpiece “She Paints Me Gold.” Plus, the cover art is damn cool. They’re funny, they’re smart, they’re tight as a conservative’s behind, and they’re the most exciting live indie rock band in L.A. right now. Imaginary is just a short burst of five songs, but what a burst it is – from the simple exclamatory chant of “Colors” to the almost prog-like tour-de-force of “Lieutenant” with singer/guitarist Sarah Negahdari’s Eddie Van Halen-esque guitar tapping, Imaginary tantalizes and teases, just like you want it to. Yes, it’s bloated and overproduced. No, it’s not the old, sleazy Guns n’ Roses of the late ‘80s. Yes, it should have been out ten years ago, and would have sounded even more contemporary in 1998 than in 2008. But Axl Rose is still the king of tortured, overwrought power ballads and menacing rock n’ roll screams, and on these counts, Chinese Democracy more than delivers – it beats you over the head with its twisted logic. Metallica sounds like Metallica again! It may be clichéd to say this is their best album since …And Justice for All, but it’s true, and it bears repeating: Death Magnetic is Metallica’s best album since Justice. 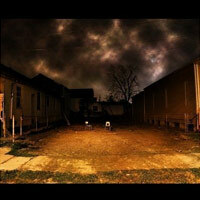 Evil Urges goes to great lengths to prove that My Morning Jacket is no typical southern jam band. Not that they ever needed to go so far as to throw some Prince-like falsetto singing and funky R&B into the mix, but as it turns out, it sounds pretty cool.